Strawberry Cough from Dutch Passion are feminised cannabis seeds. These Sativa dominant cannabis plants become very beautiful plants and they descent from North America and Europe. 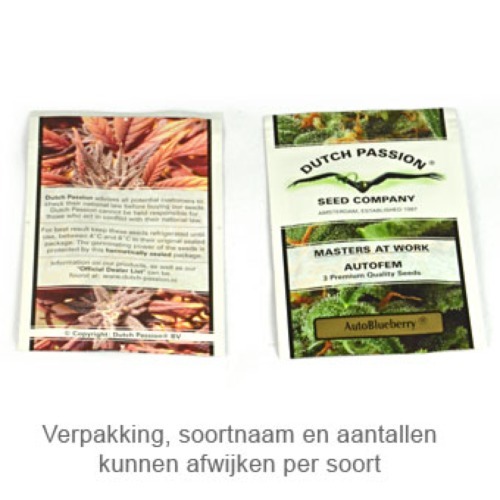 Dutch Passion Strawberry Cough cannabis seeds are appropriate for an indoor, greenhouse and very suitable for a SCROG grow. These seeds are easy to grow and the standard diet is enough for a nice yield. These cannabis plants are suitable for the growers with less experience. The effect of smoking this delicious weed is an energetic Up High. Because of her fresh strawberry flavor this weed is delicious to smoke. Growing weed with these feminised cannabis seeds generate a fruity yield. Tell us and our customers what you think of the Strawberry Cough from Dutch Passion.